GARY LEE NISH passed away in Cardston, Alberta, on August 1, 2018 after a year long battle with gastric cancer. He was born in Cardston to Glenn and Velma Nish in 1938 and grew up on the family farm in the Jefferson area southeast of Cardston. After high school he went to BYU and graduated with a degree in agriculture economics and animal husbandry. While attending university, he met and married Apryl Rothe. He worked first for Swifts Feeds and then for Agriculture Canada at the Research Stations in Lethbridge and Ottawa. In 1968 he started farming full time in the Kimball area. Gary loved Southern Alberta, every aspect of farming including coming from a long lineage of farmers, collecting old trucks, goose hunting, keeping his vehicles shiny and clean, new Ford pickups, people to visit, lab dogs,playing cards, fishing the St. Mary's River, horses, Chief Mountain, freedom, and waking up each day being able to decide what he wanted to do. Most importantly, Gary loved his family--his wife Apryl, their five sons and their wives: Wade (Rebecca), Alan (Joey), Casey (deceased) (Lani), Ben (Jody), and Ty (Rachel) as well as his 25 grandchildren. He is also survived by 2 sisters, Sharon Pitcher and Glenda Laycock, and one brother Wayne and other loved relatives. Gary was an active member of the Church of Jesus Christ of Latter-day Saints. He was a lucky man who loved what he had in life. Gary was predeceased by his parents, two brothers (Lynn and Alan), a son (Casey), and a grandson (Reggie). 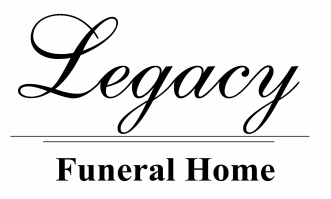 Funeral services will be held on Friday, August 10, at 11:30 am at the Church of Jesus Christ of Latter-day Saints South Hill Chapel in Cardston. Friends may meet the family from 10:15 to 11:15 prior to the service.